Series 560 Double Bolt Clamp #560 – 1240 560 – 1240 18 3/4 inch 1 1/4 inch 24 inch 24 inch 4500 lbs. 4015 lbs. Series 560 Double Bolt Clamp #560 – 1100 560 – 1100 11 1/8 inch 7/8 inch 10 3/4 inch 10 inch 3240 lbs. 2890 lbs. Series 560 Double Bolt Clamp #560 – 1120 560 – 1120 12 1/2 inch 7/8 inch 12 3/4 inch 12 inch 3240 lbs. 2890 lbs. Series 560 Double Bolt Clamp #560 – 1140 560 – 1140 13 1/2 inch 7/8 inch 14 inch 14 inch 4300 lbs. 3835 lbs. Series 560 Double Bolt Clamp #560 – 1160 560 – 1160 14 1/4 inch 7/8 inch 16 inch 16 inch 4300 lbs. 3835 lbs. Series 560 Double Bolt Clamp #560 – 1180 560 – 1180 15 1/2 inch 1 inch 18 inch 18 inch 4300 lbs. 3835 lbs. Series 560 Double Bolt Clamp #560 – 1200 560 – 1200 16 1/2 inch 1 1/4 inch 20 inch 20 inch 5490 lbs. 4900 lbs. Series 560 Double Bolt Clamp #560 – 150 560 – 150 7 5/8 inch 5/8 inch 5 1/2 inch 5 inch 2500 lbs. 2230 lbs. Series 560 Double Bolt Clamp #560 – 160 560 – 160 8 5/8 inch 3/4 inch 6 5/8 inch 6 inch 2865 lbs. 2555 lbs. 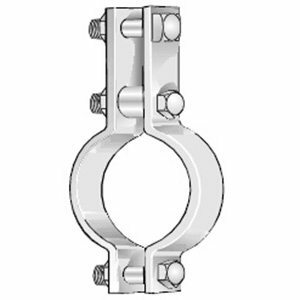 Series 560 Double Bolt Clamp #560 – 180 560 – 180 9 7/8 inch 3/4 inch 8 5/8 inch 8 inch 2865 lbs. 2555 lbs. Series 560 Double Bolt Clamp #560 – 140 560 – 140 7 inch 5/8 inch 4 1/2 inch 4 inch 2500 lbs. 2230 lbs. 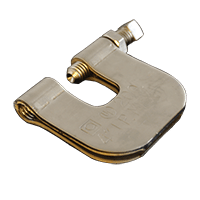 Series 560 Double Bolt Clamp #560 – 110 560 – 110 2 7/8 inch 3/8 inch 1 1/4 inch 1 inch 950 lbs. 850 lbs. Series 560 Double Bolt Clamp #560 – 112 560 – 112 3 inch 3/8 inch 1 5/8 inch 1 1/4 inch 950 lbs. 850 lbs. Series 560 Double Bolt Clamp #560 – 114 560 – 114 4 5/8 inch 1/2 inch 2 inch 1 1/2 inch 1545 lbs. 1380 lbs. Series 560 Double Bolt Clamp #560 – 120 560 – 120 4 3/4 inch 1/2 inch 2 3/8 inch 2 inch 1545 lbs. 1380 lbs. Series 560 Double Bolt Clamp #560 – 124 560 – 124 5 inch 1/2 inch 2 7/8 inch 2 1/2 inch 1545 lbs. 1380 lbs. Series 560 Double Bolt Clamp #560 – 130 560 – 130 5 3/8 inch 1/2 inch 3 1/2 inch 3 inch 1545 lbs. 1380 lbs. 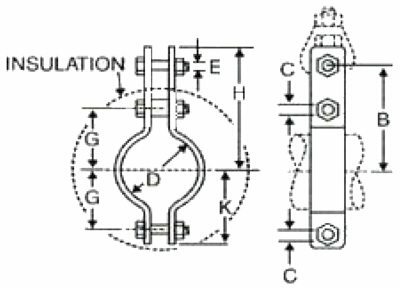 Series 560 Double Bolt Clamp #560 – 134 560 – 134 5 5/8 inch 1/2 inch 4 inch 3 1/2 inch 1545 lbs. 1380 lbs. Series 560 Double Bolt Clamp #560 – 106 560 – 106 2 3/4 inch 3/8 inch 1 inch 3/4 inch 950 lbs. 850 lbs.